A quick view of the most influential metrics in South Park. South Park and Golden Hill are both neighborhoods in San Diego, California. South Park is aptly named because it is located just south of Balboa Park and Golden Hill lies just east of Balboa Park. There is some controversy over whether South Park is truly an independent neighborhood or if it is a subsection of Golden Hill. However, it is considered a major historic urban community and has been proposed to be registered as a historic district for some time. 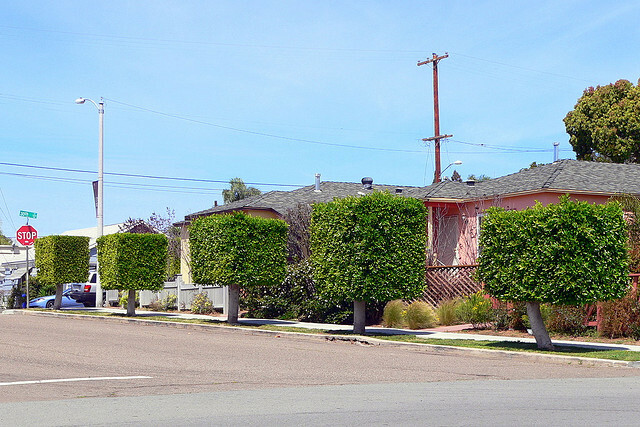 Golden Hill is known architecturally as one of the most eclectic and historic zones in San Diego. It is the location of many pre and early 1900s homes. Both neighborhoods are within walking distance of downtown and pedestrian friendly. In the early 1900s, Golden Hill, like many other San Diego neighborhoods were connected by streetcars in the San Diego public transit system. These streetcars remained the main mode of transportation there until the retirement of the Class 1 street cars in 1939 and the number 2 line in the mid 1950s. Golden Hill has a long history as a home for musicians and has both the Black Box Recording Studio and The Habitat Recording Studios. The neighborhood hosts two outdoor concerts a year featuring local bands that are free to the public and open to all ages. The neighborhood has a variety of eateries including Krakatoa & Pizzeria Luigi which was featured on "Diners, Drive-Ins and Dives." The neighborhood is home to the Women's History Museum and Educational Center and Christ United Presbyterian Church of San Diego. Both neighborhoods are within walking distance of downtown and pedestrian friendly. South Park was among the earliest subdivisions registered in the city in 1870. The Bartlett Estate Company purchased it in 1905 and added sidewalks, sewer accommodations, electricity and water making it a prime real estate and a high-class residential district and drawing new residents in. The arrival of the South Park and East Side Railway and it's streetcar line only added to the neighborhoods appeal. South Park is known as a pedestrian friendly neighborhood with quiet tree-lined streets, single family residences, small apartment buildings and bungalow courts. South park is also dog-friendly and is adjacent to a dog park. The neighborhood has a variety of small businesses, drinking establishments, eateries and an eclectic mix of pop stores which host quarterly South Park walkabouts in March, July, October and December on a chosen Saturday evening. These walkabouts help support local businesses while foster community togetherness. The housing market in South Park and Golden Hill ranges from small starter homes up through historic and luxury homes. Rental options include apartments, bungalows and houses. Other real estate options include town houses and condominiums with a variety of amenities for sale or lease. Local real estate agents are ready, willing and able to help you in your search for a place to call home in the historic and bustling neighborhoods of South Park and Golden Hill in the thriving city of San Diego. View our selection of available properties in the South Park area. Check out the latest demographic information available for South Park. Learn more about schools near South Park complete with ratings and contact information. Browse through the top rated businesses in the most popular categories South Park has to offer.